Make Your Event Something Special with Our Potato Ovens for Hire in Melbourne! No event is complete without some amazing food, and you can’t go wrong with a baked potato. 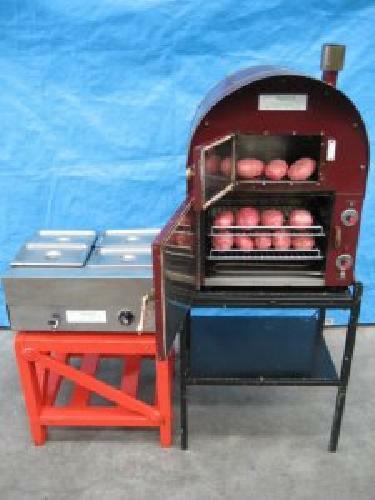 If you want to serve a popular dish that is easy to create and cook then you’ll love our potato oven hire in Melbourne. With this equipment being able to hold up to 30 potatoes in the oven and 100 potatoes in the trailer, cooking for the masses is a breeze as we also supply an electric bain-marie to keep your spuds warm. There are countless food options when it comes to using our ovens as you can simply add cheese, garlic, butter and many other ingredients to create dishes your customers will love, and will come back wanting more. Contact our friendly Smart Amusement’s team to make an enquiry about our potato ovens for hire, today! With Smart Amusements, we have all the equipment needed to ensure your guests enjoy some tasty treats and leave satisfied at your next fete or event. We carry a comprehensive range of fun food options for hire, such as fairy floss machines, snow cone machines, hot dog machines, popcorn machines and of course, our potato oven machines for hire. Are we making you hungry yet? Contact Our Team Today About Our Potato Ovens for Hire! At Smart Amusements, we’re proud of our affordable prices, exceptional customer service and high-quality equipment. 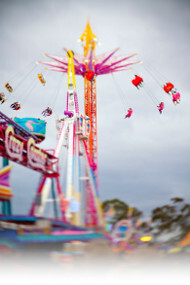 Each piece of equipment we carry meets the strictest safety tests, because your safety and fun is our main concern. With our range of food equipment ready to deliver tasty treats to your guests, popular carnival games for hire and exhilarating rides on offer, we’ve got your needs covered to ensure your next big event will be remembered for years to come. If you have any questions about our equipment for hire, or if you’d like to know more about our pricing, don’t hesitate to get in contact with our team today. You can call us on (03) 9555 6606, or fill out our simple online contact form and we’ll get back to you shortly. Holds 25 average size potatoes. Potato oven hire in Melbourne! No event is complete without some amazing food. If you want to serve a popular dish that is easy to create and cook then you’ll love our potato oven hire in Melbourne. Being able to hold up to 25 potatoes at a time, cooking for the masses is a breeze as we also supply an electric bain marie to keep your spuds warm. There are countless options while using our ovens as you can simply add cheese, garlic, butter and many other ingredients to create dishes your customers will love. Make an enquiry today!